Preheat oven to 200 degrees F (105 degrees C) and place the rack in the center of the oven. Line a baking sheet with parchment paper. Have ready a pastry bag fitted with a 1/2 inch (1.25 cm) plain tip. In the bowl of your electric mixer, with the whisk attachment, beat the egg whites on low-medium speed until foamy. Add the cream of tartar and continue to beat the whites until they hold soft peaks. Add the sugar, a little at a time, and continue to beat until the meringue holds very stiff peaks. Beat in the vanilla extract. Note: The meringue is done when it holds stiff peaks and when you rub a little between your thumb and index finger it does not feel gritty. If it feels gritty the sugar has not fully dissolved so keep beating until it feels smooth between your fingers. Before placing the meringue ghosts on the cookie sheet, place a little of the meringue on the underside of each corner of the parchment paper. This will prevent the paper from sliding. Transfer the meringue to the pastry bag and, holding the bag perpendicular to the baking sheet, pipe, with even pressure, about 2 inch (5 cm) high mounds of meringue. 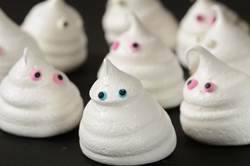 Carefully press two candy eyes, edible silver dragees, or two miniature chocolate chips into each meringue ghost. Bake the meringues for approximately 1 - 1 1/2 hours or until they are dry and crisp to the touch. 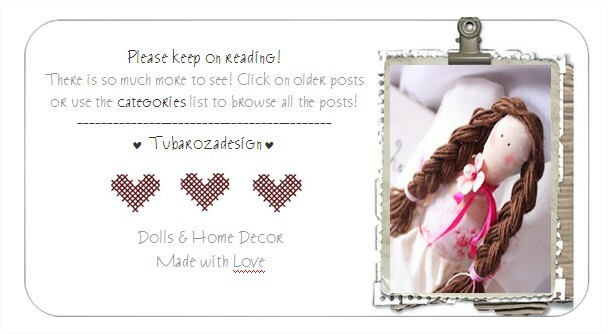 Turn off the oven, open the door, and leave the meringues in the oven to finish drying several hours, or even overnight. The Meringue Ghosts will keep several days at room temperature.